koji smo još jedini preostali..."
Stevan Raičković was born 1928 in Neresnica near Požarevac. Worked as an editor in numerous publishing houses and on Radio Belgrade. He is winner of plenty of poetry awards in former Jugoslavija. 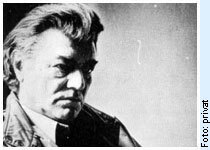 Considering as one of most influential and distinguish poet of lyrical attitude, Stevan Raičković is represented in anthologies of more the twenty languages of Europe, and also on Japanese, Chines, and other languages. Author of about 30 books of poetry. He received October Award, the Seventh July Award, 'Njegoš' Award, 'Dučić' Award. Collected works in six volumes, 1986. Selected works in ten volumes, 1998. Regular member of the Serbian Academy of Sciences and Arts since 1981. Stevan Raičković died on May 5, 2007.